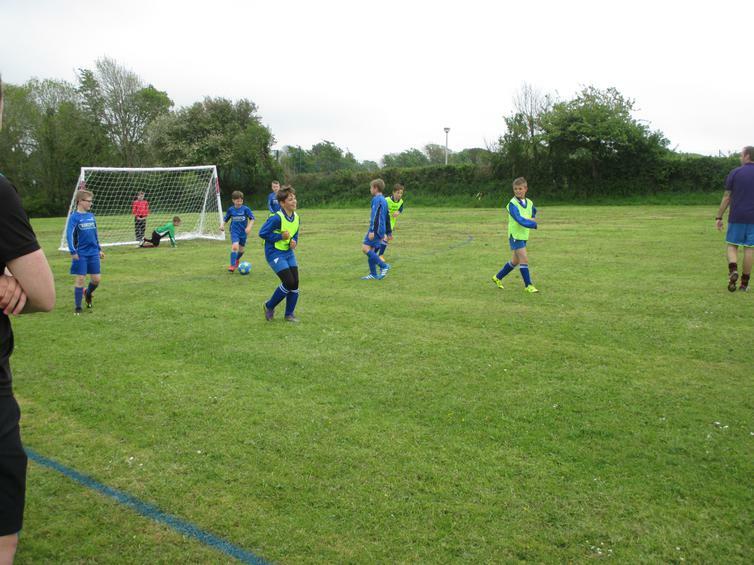 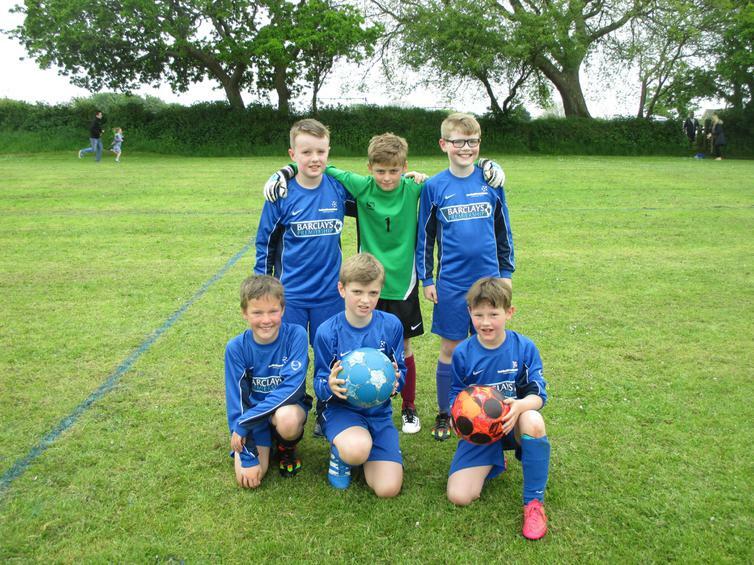 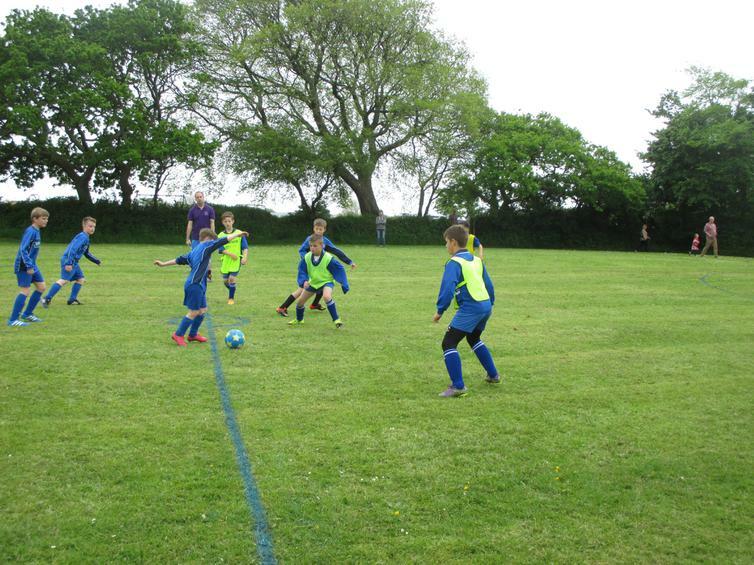 The Year 5/6 football team put in a fantastic performance in their first match on Friday afternoon, winning 10-1 against Yealmpstone Farm Primary School!! 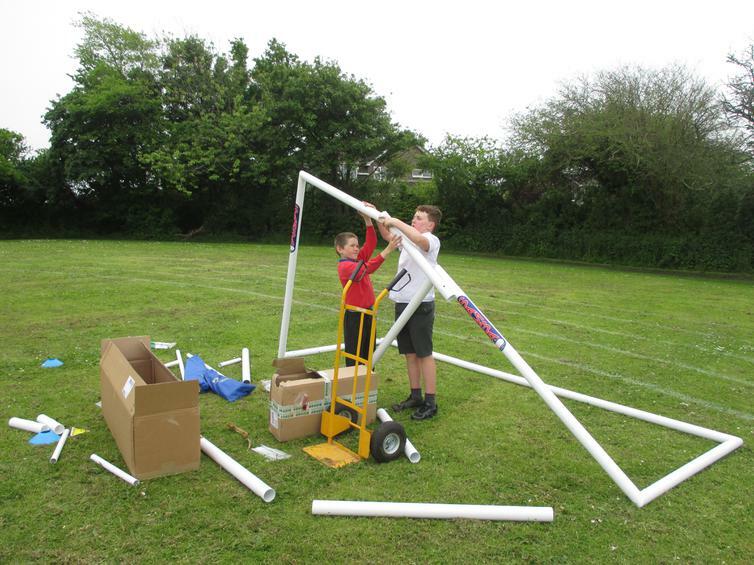 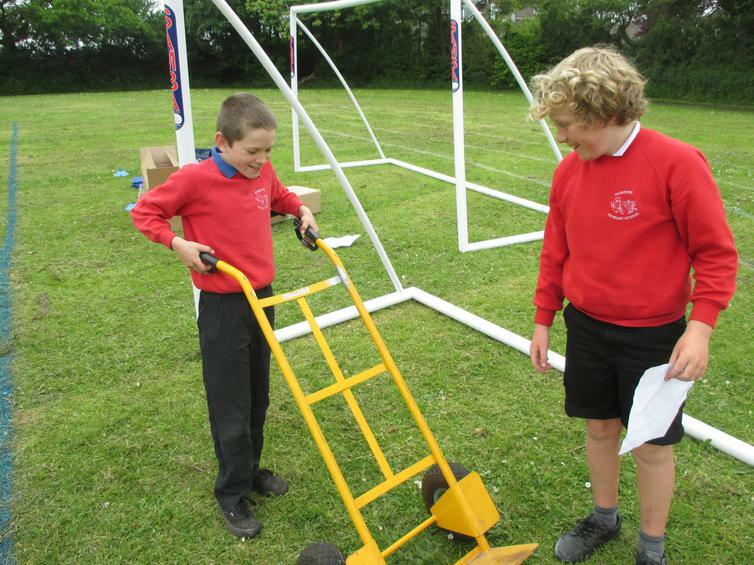 Thankfully, our brand new goals (funded by the recent GB athlete event) arrived on Thursday, the grass had been cut and the pitches (and athletics track) had been marked out. 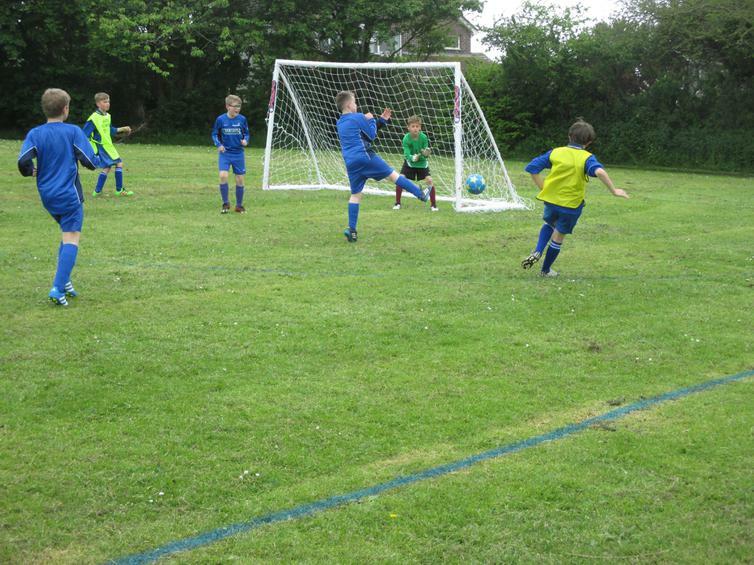 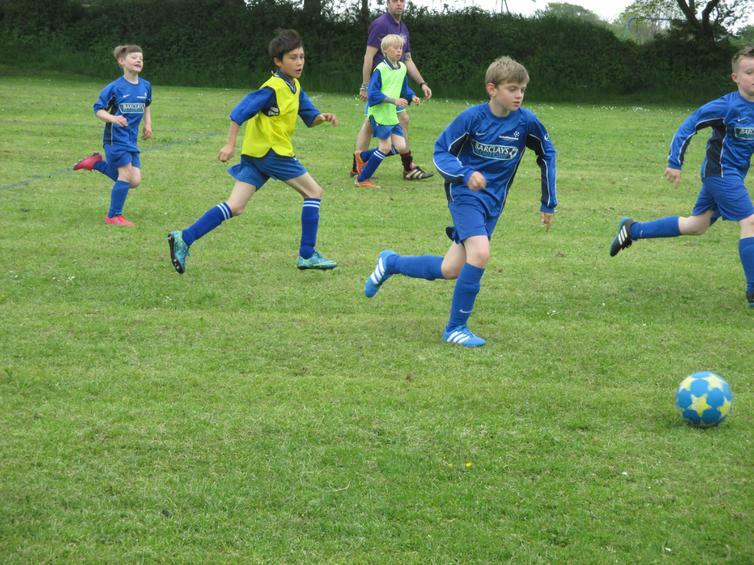 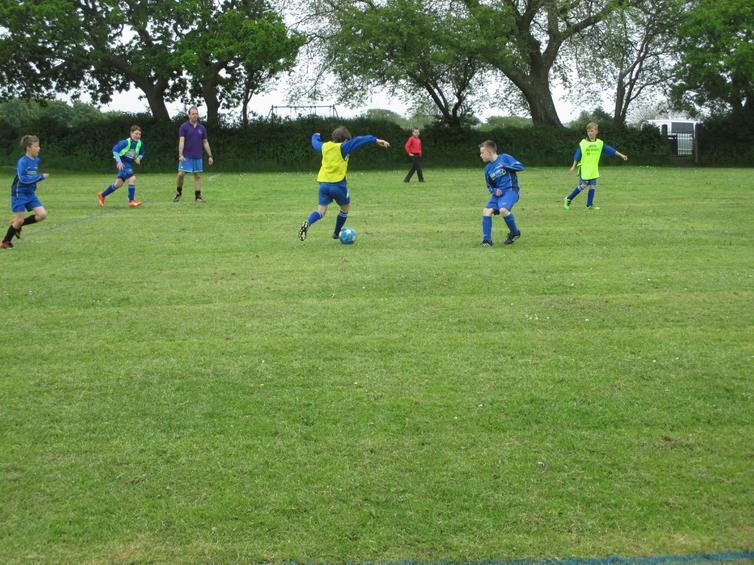 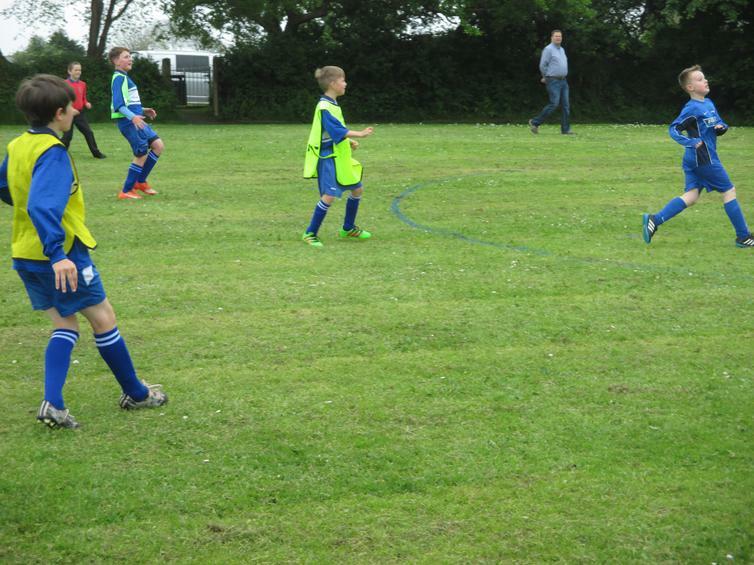 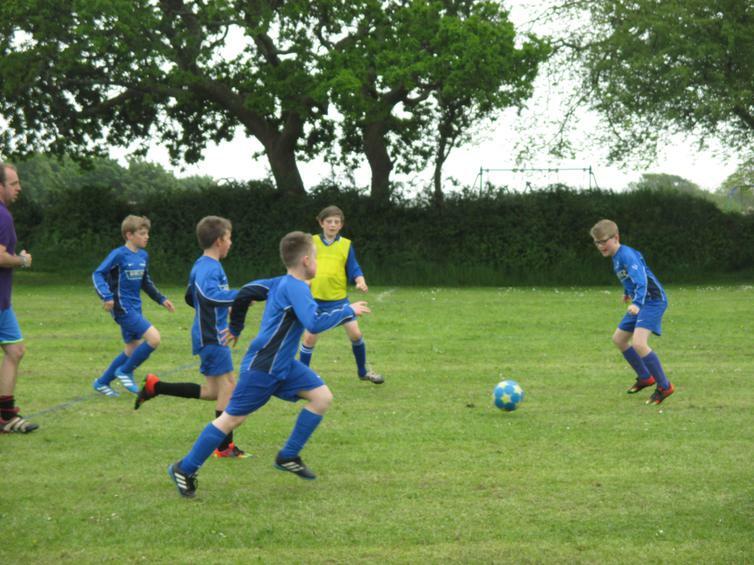 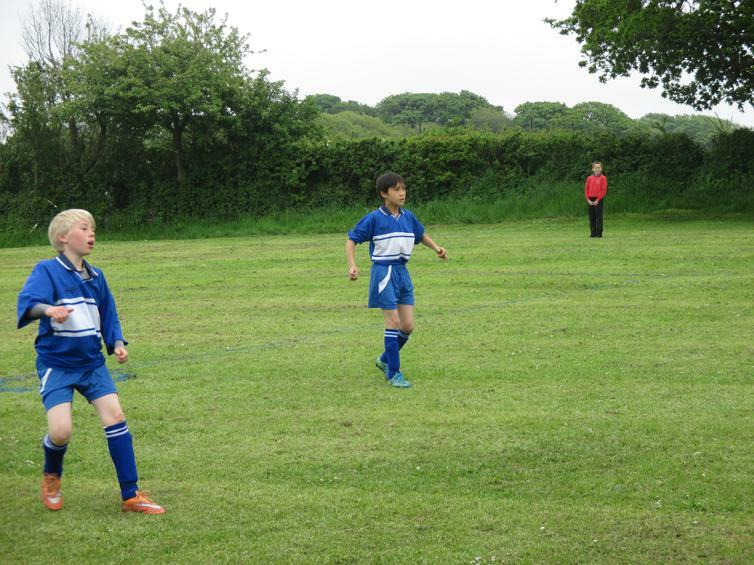 As you’ll see in the pictures, both teams had a full blue kit! 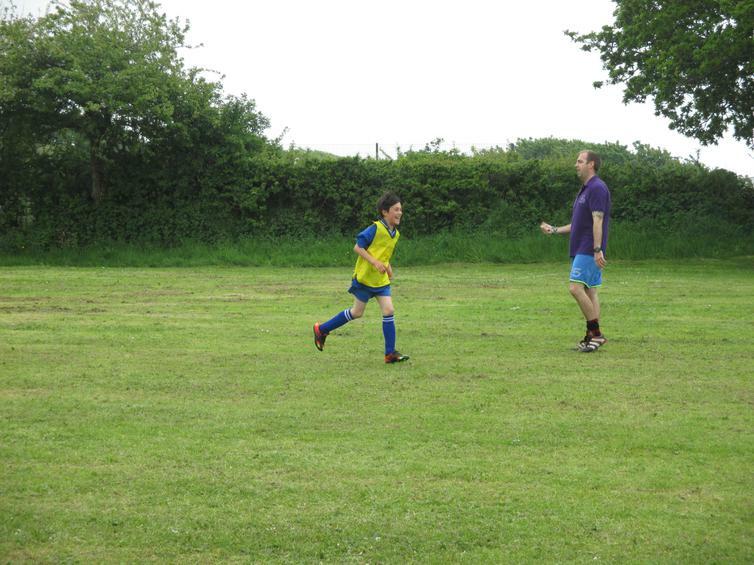 After quickly putting on some bibs, we started the match. 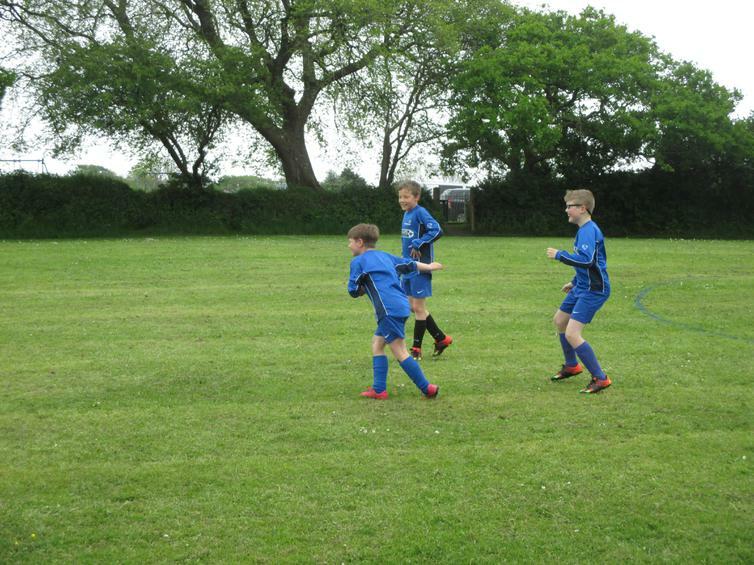 It was a close first half - the score was 1-1 at half time! 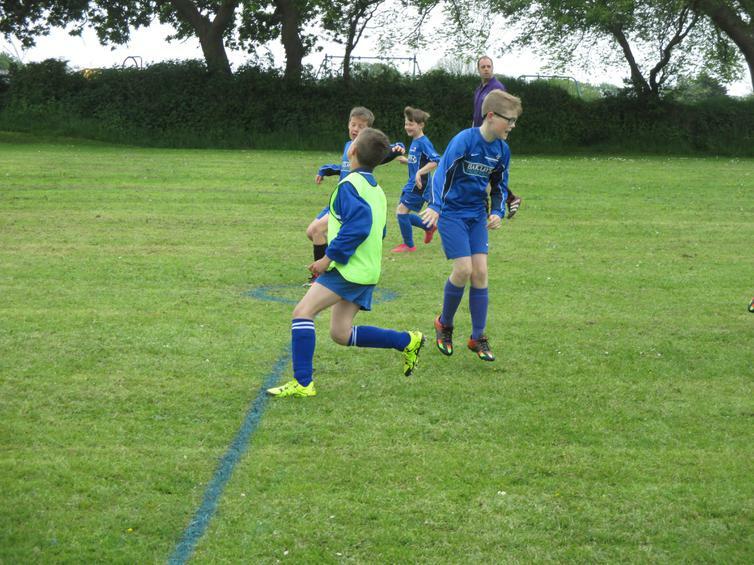 However, in the second half, the boys grew in confidence and started really attacking the opposition, with every player scoring a goal. 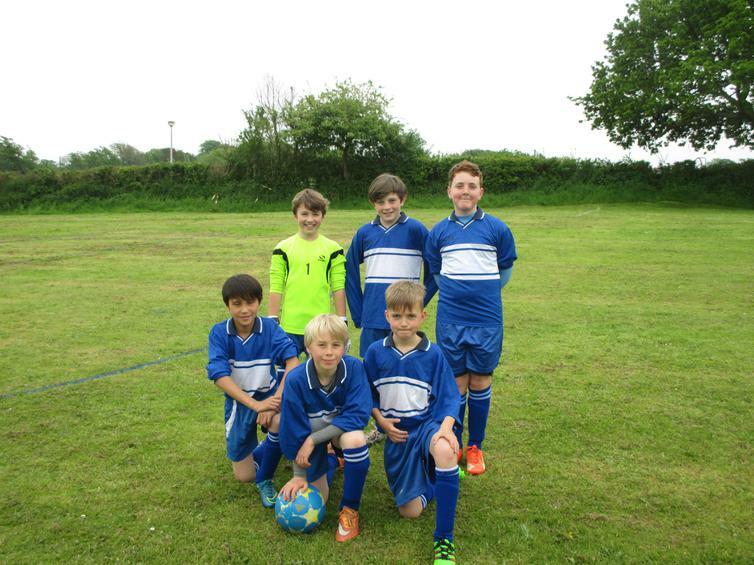 They represented the school really well, playing half a match each, showing lots of determination and scoring some brilliant goals in the process. 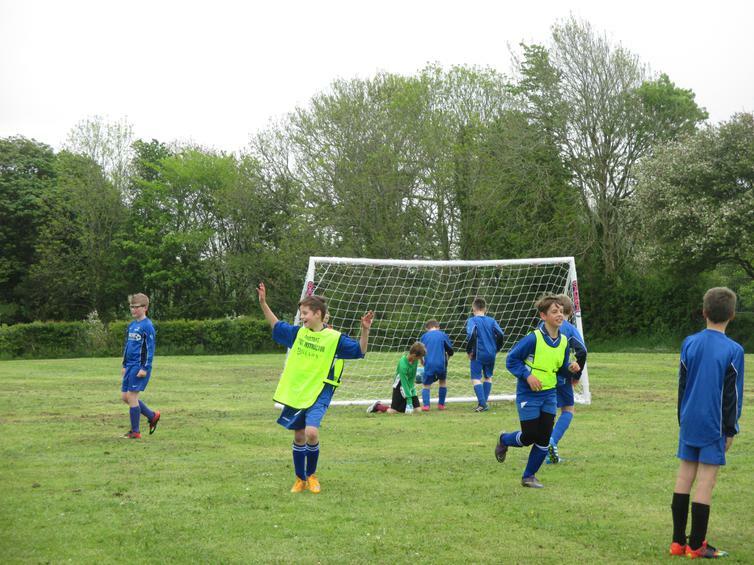 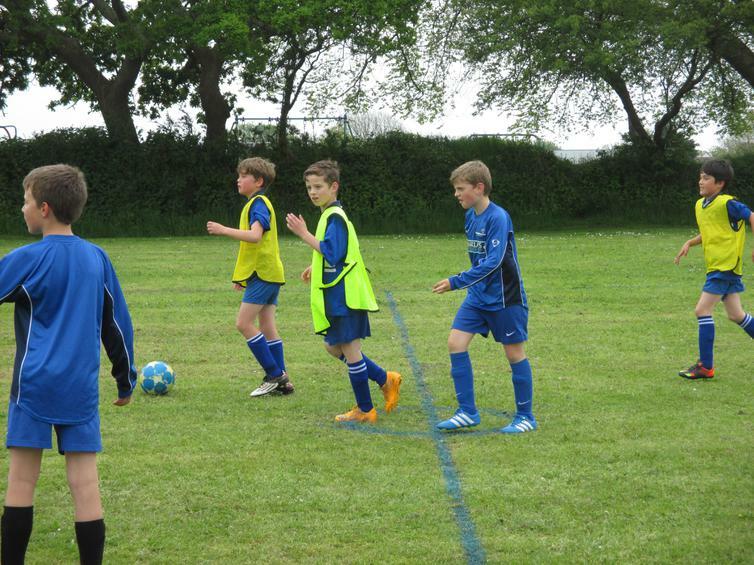 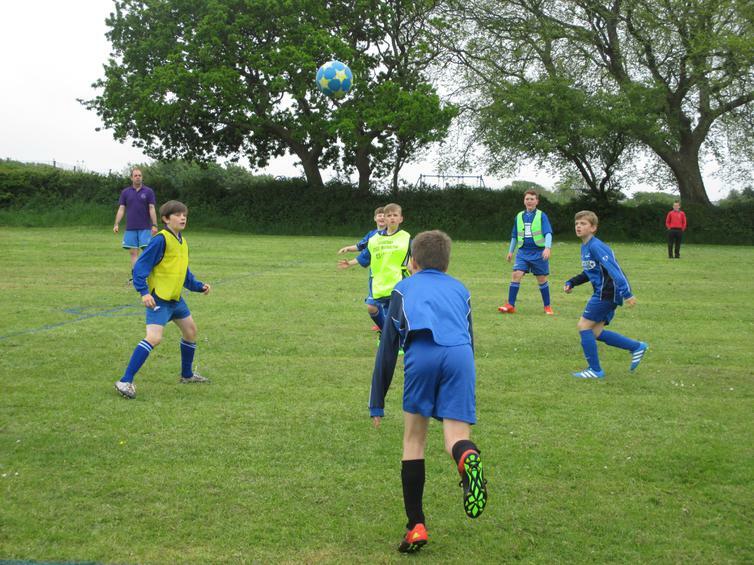 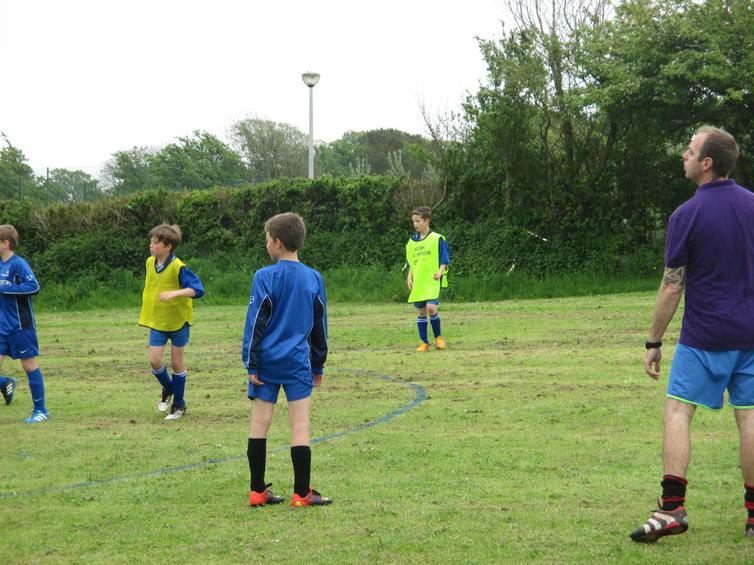 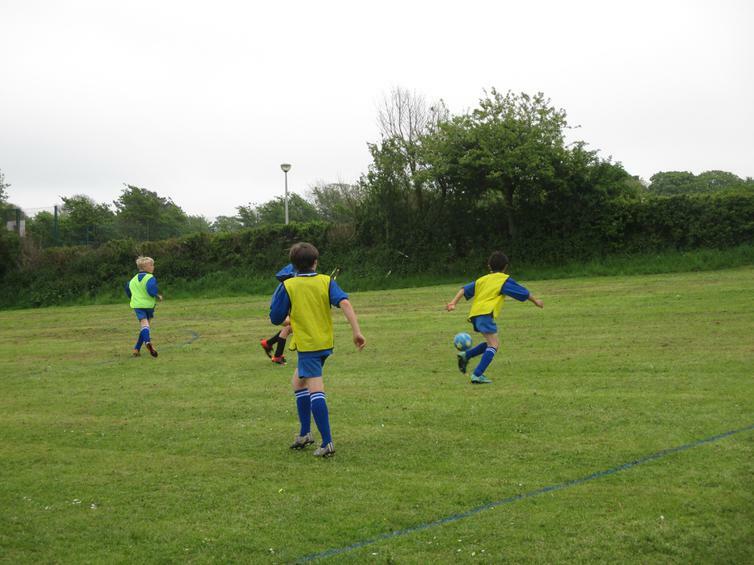 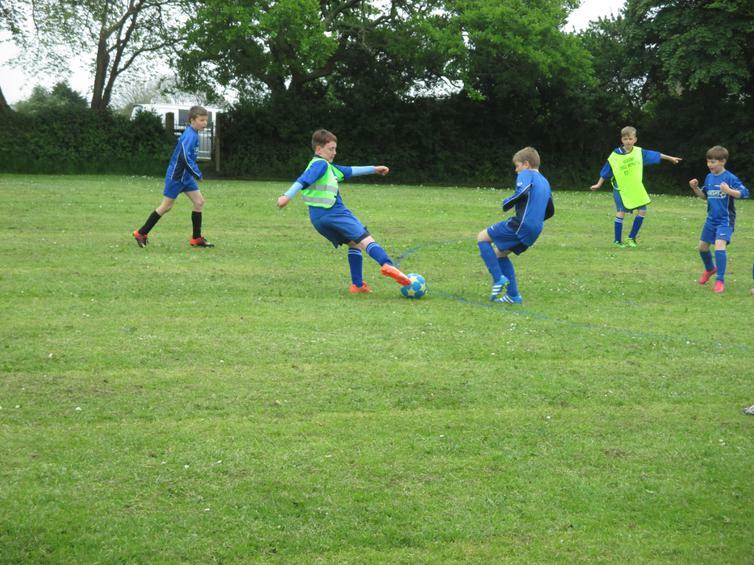 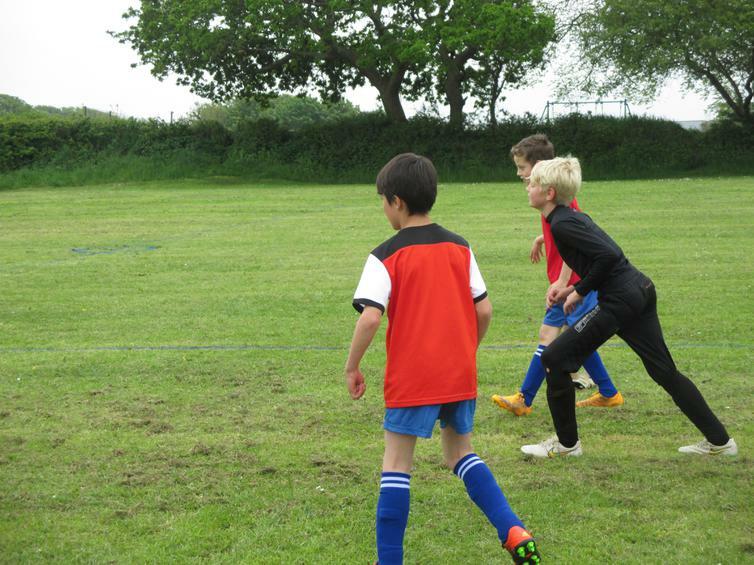 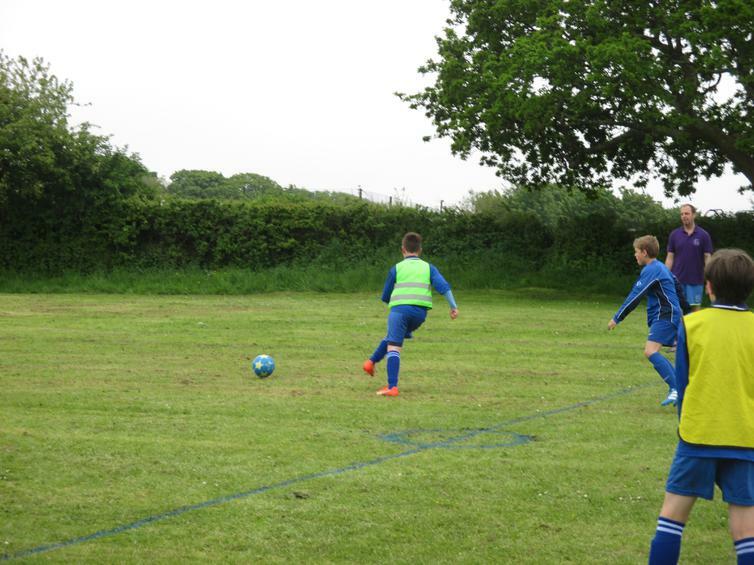 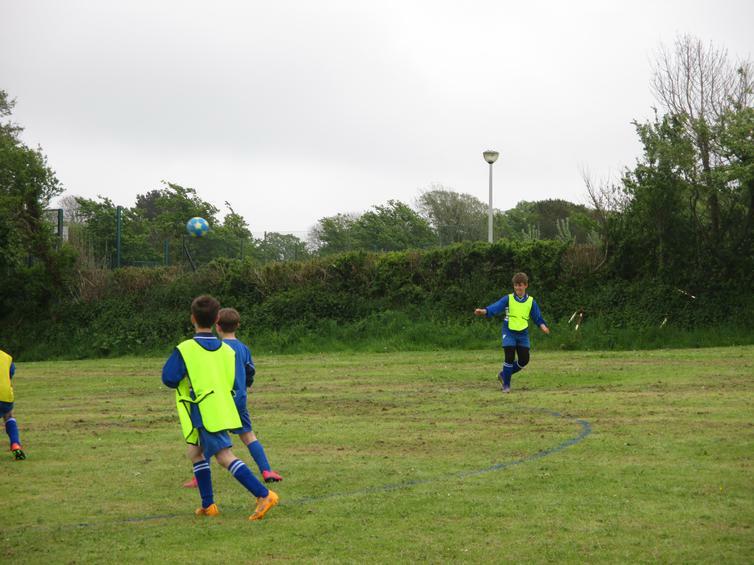 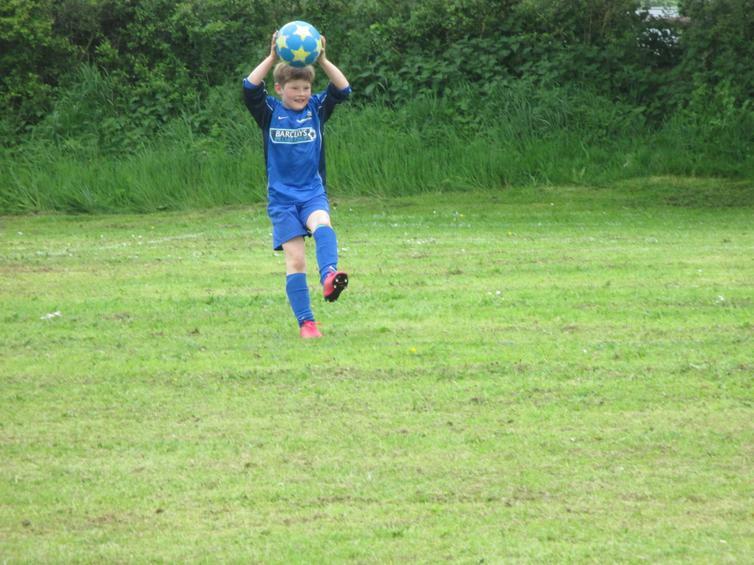 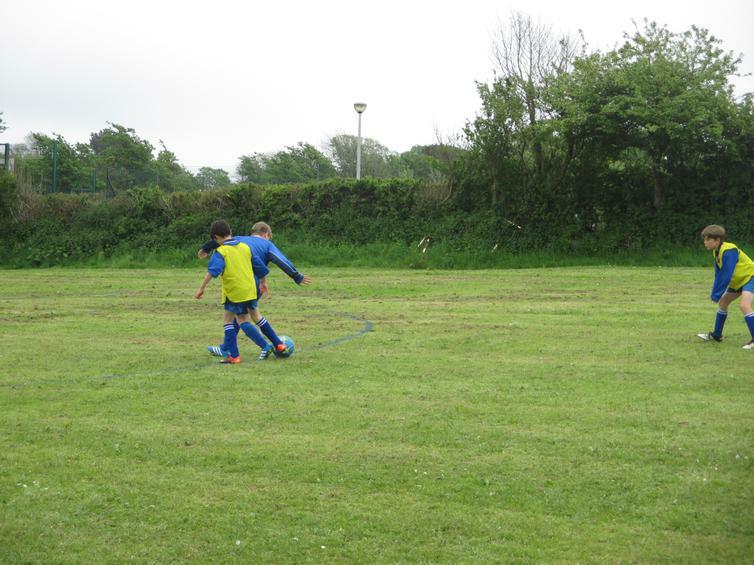 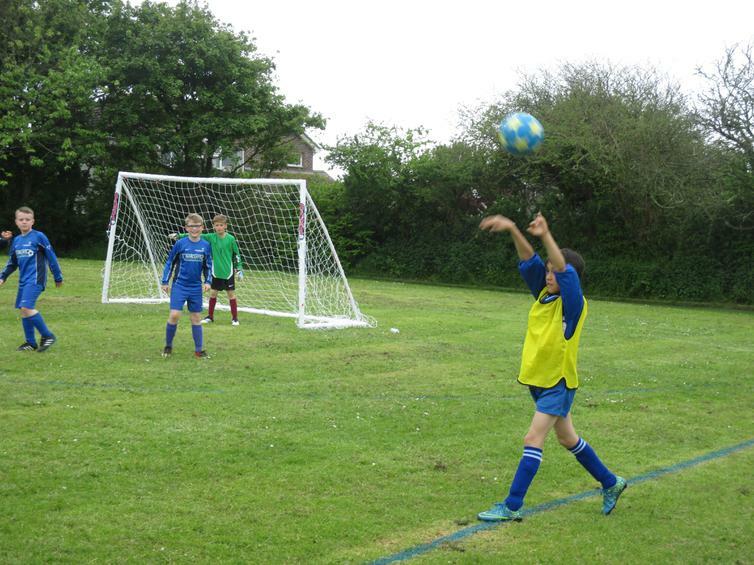 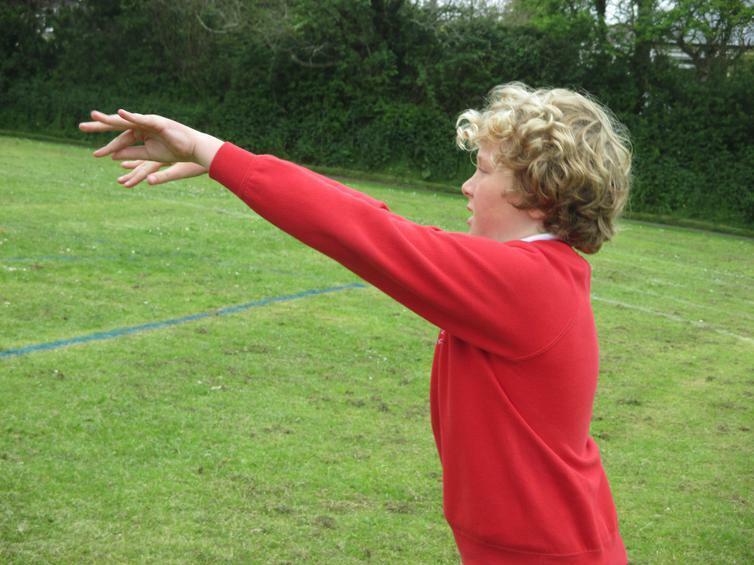 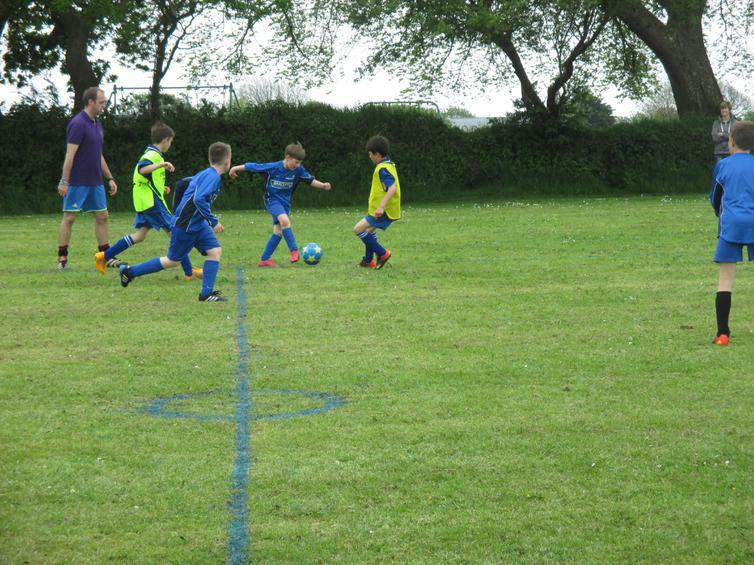 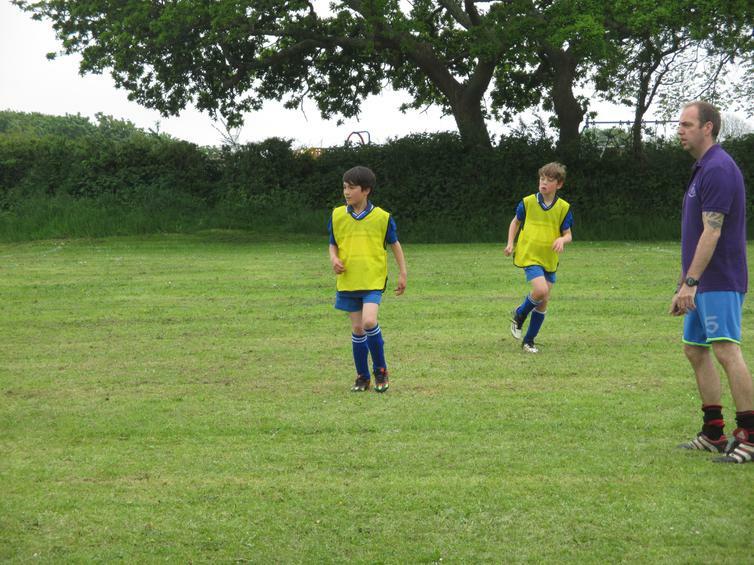 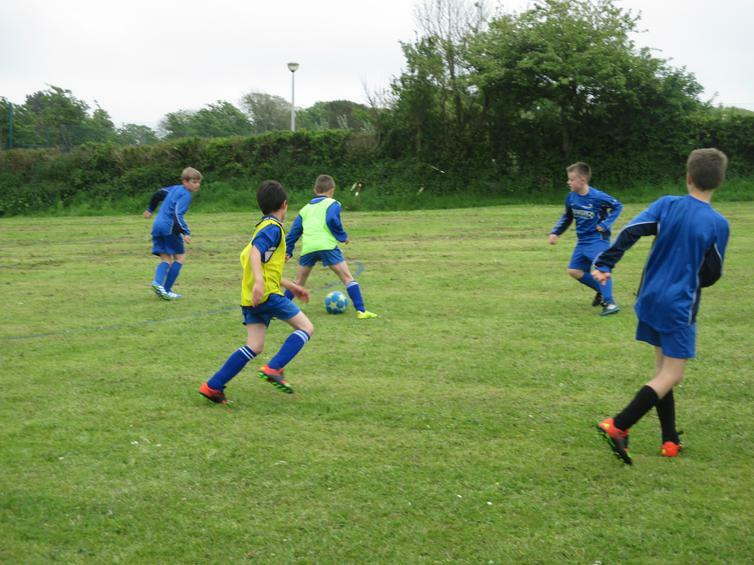 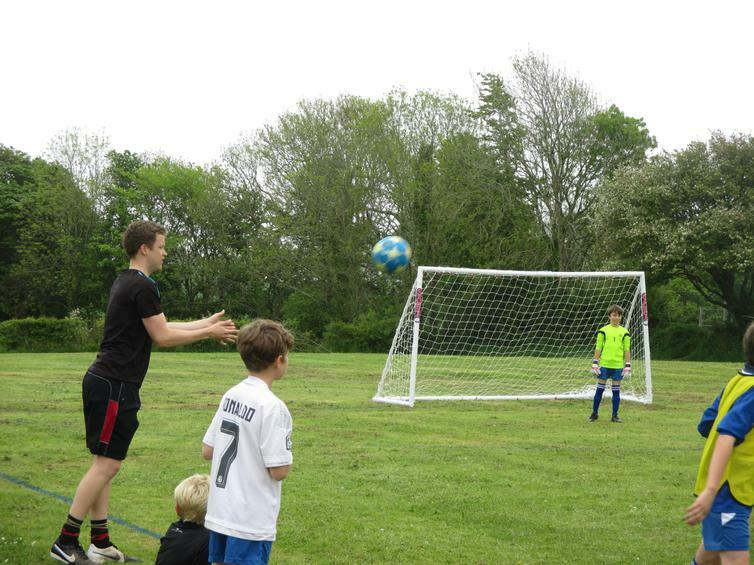 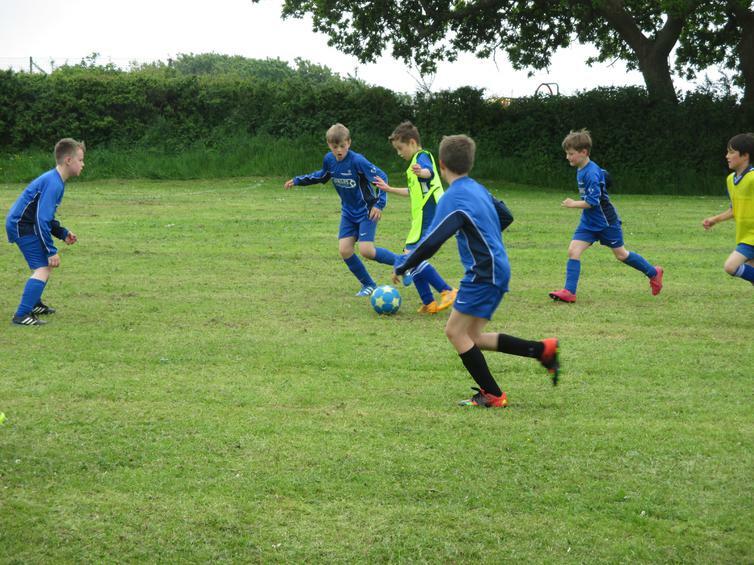 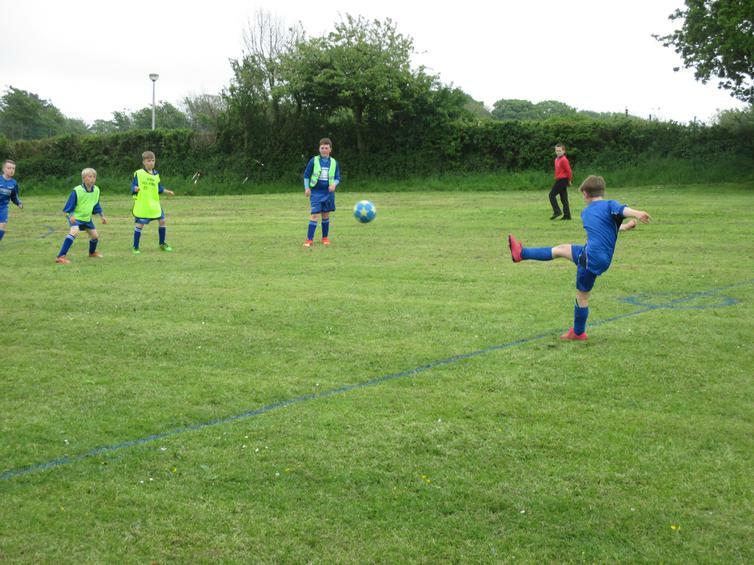 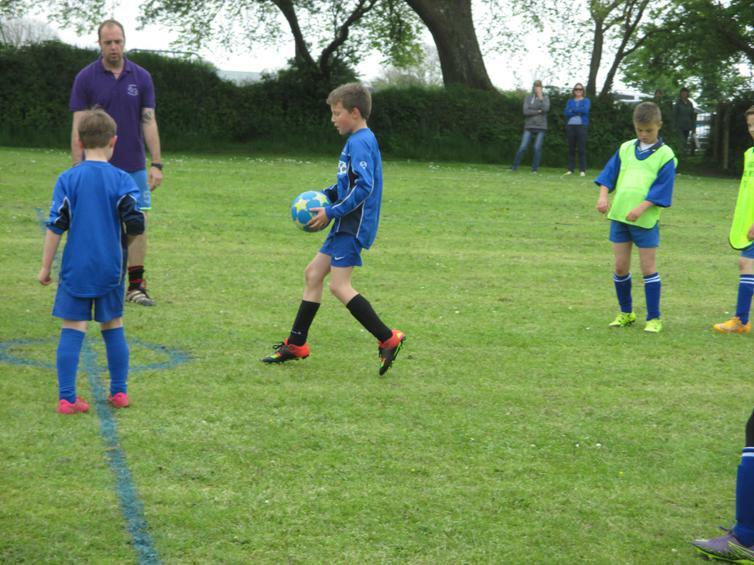 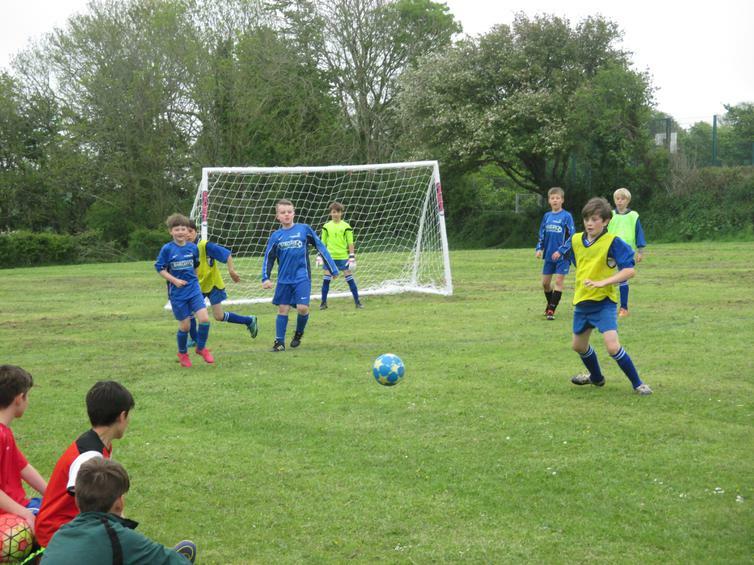 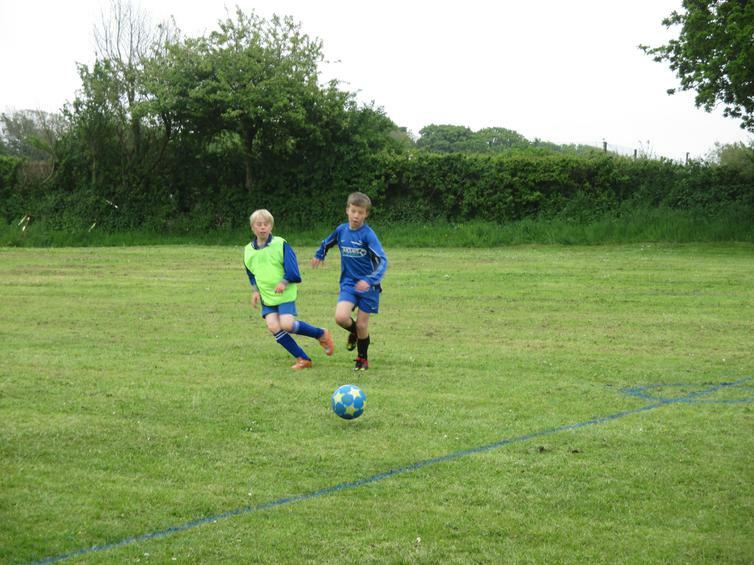 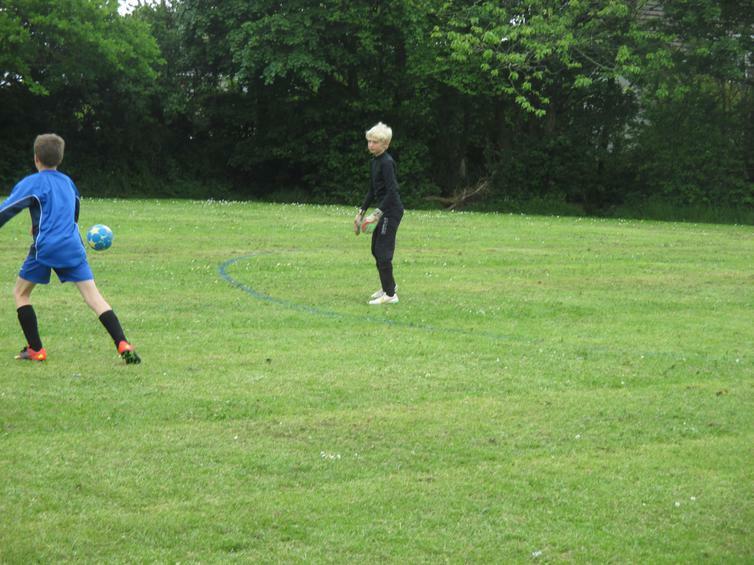 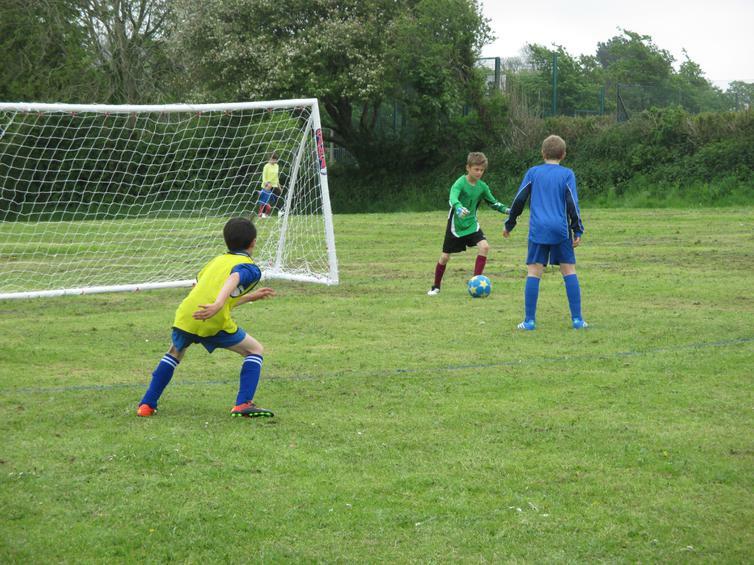 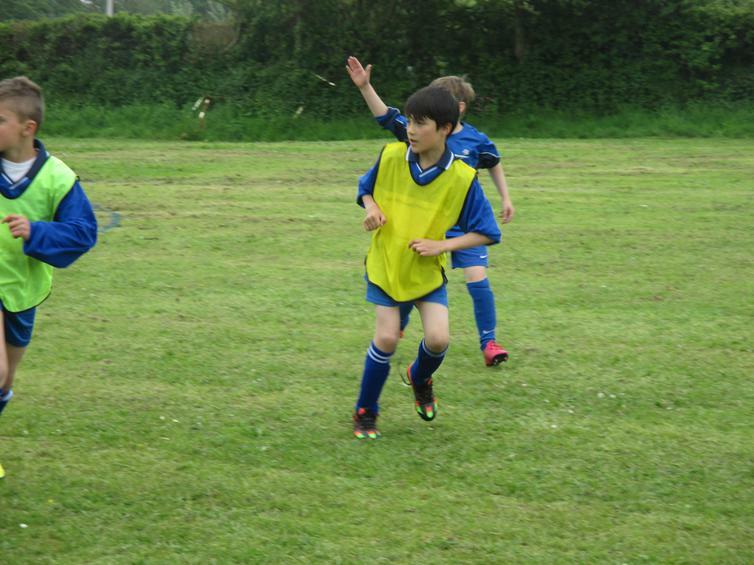 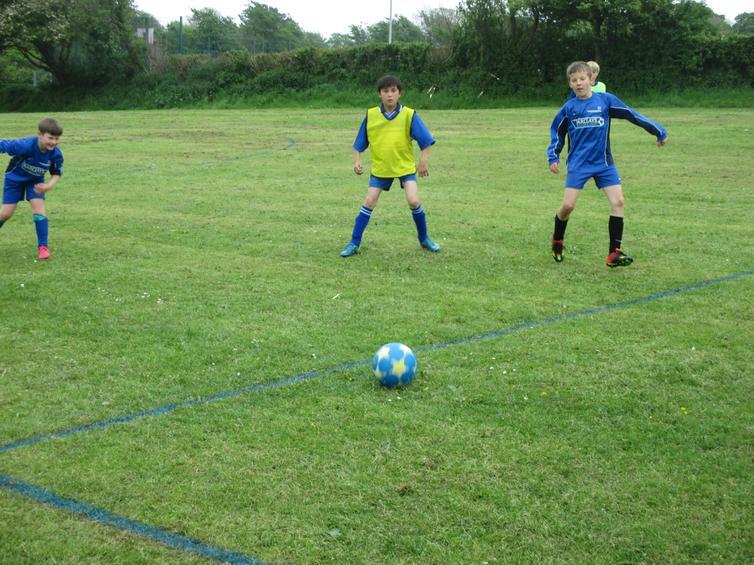 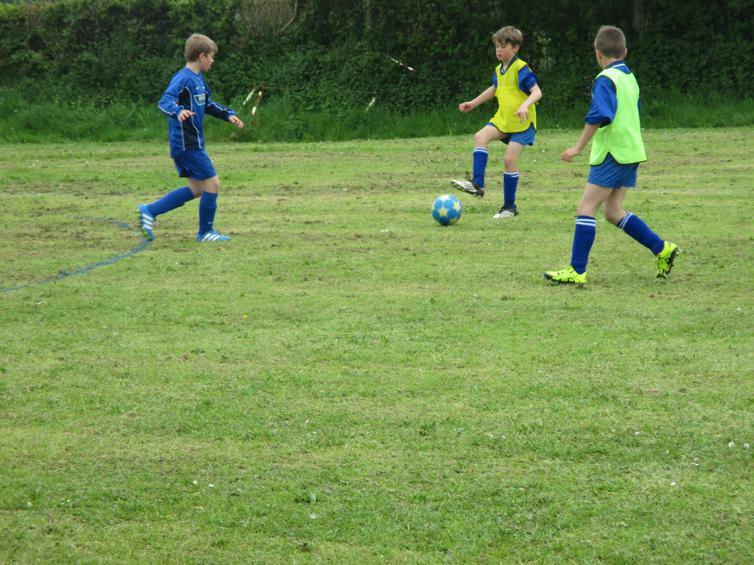 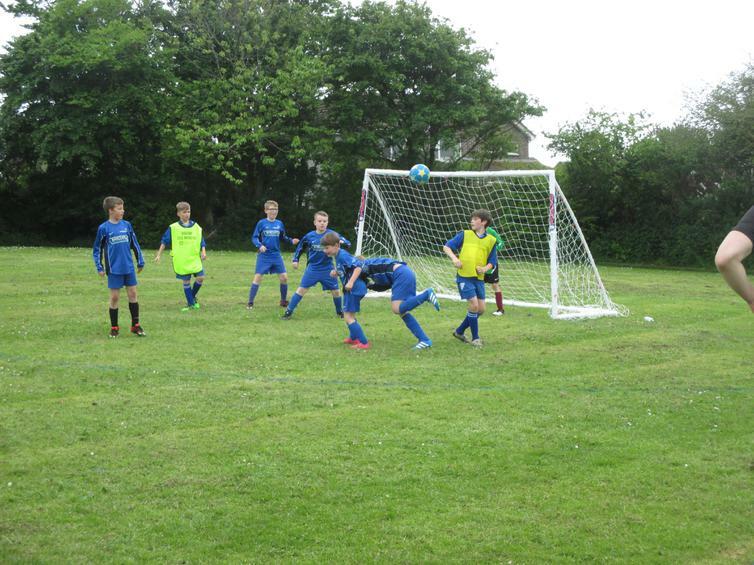 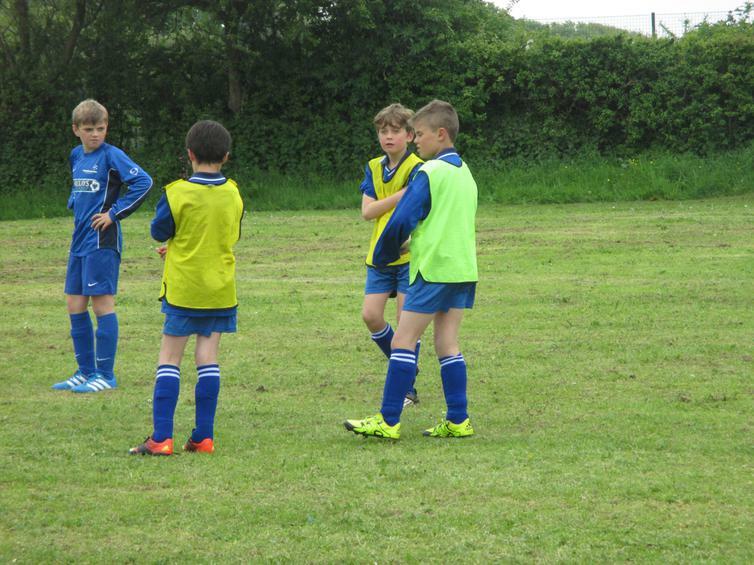 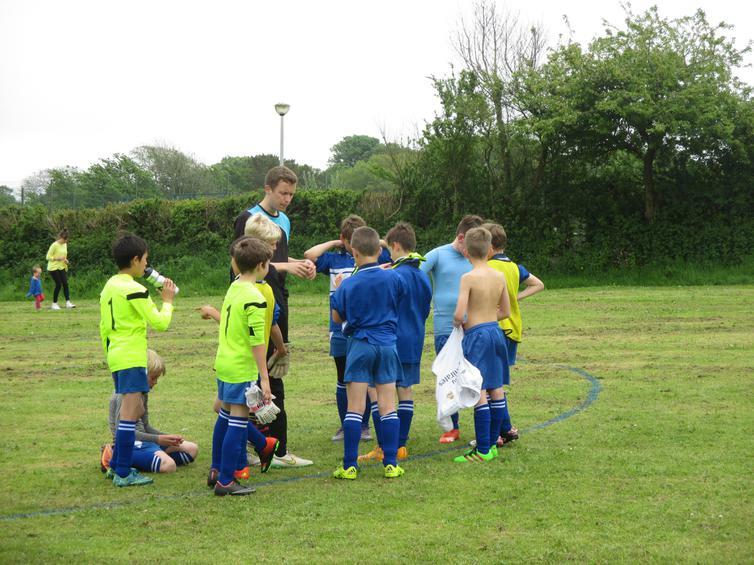 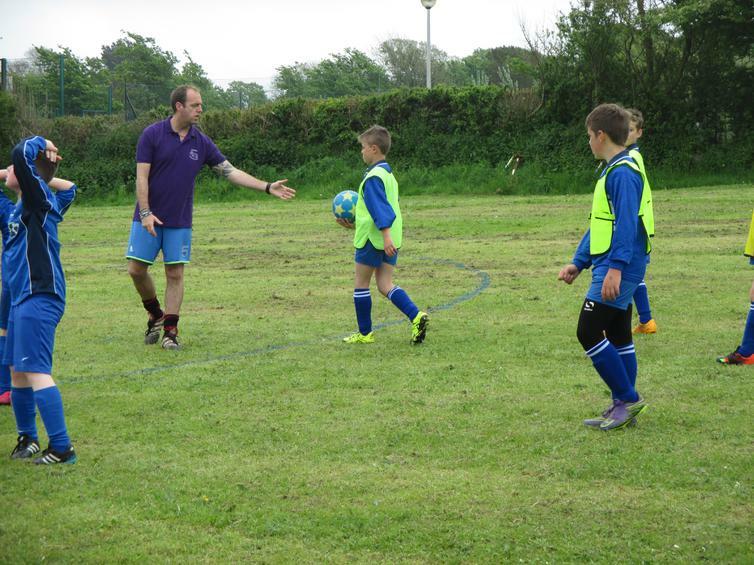 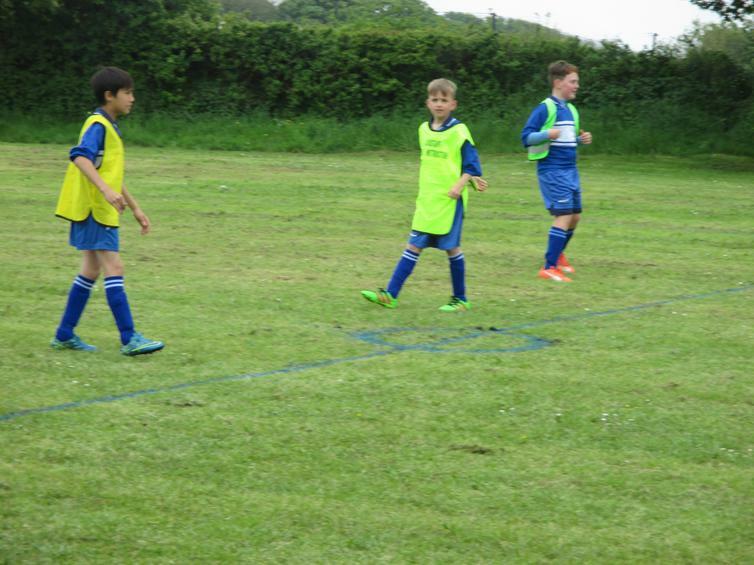 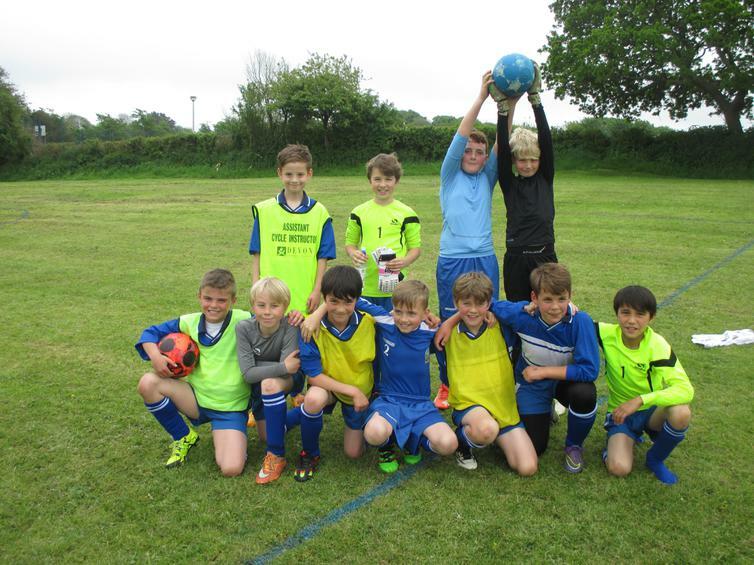 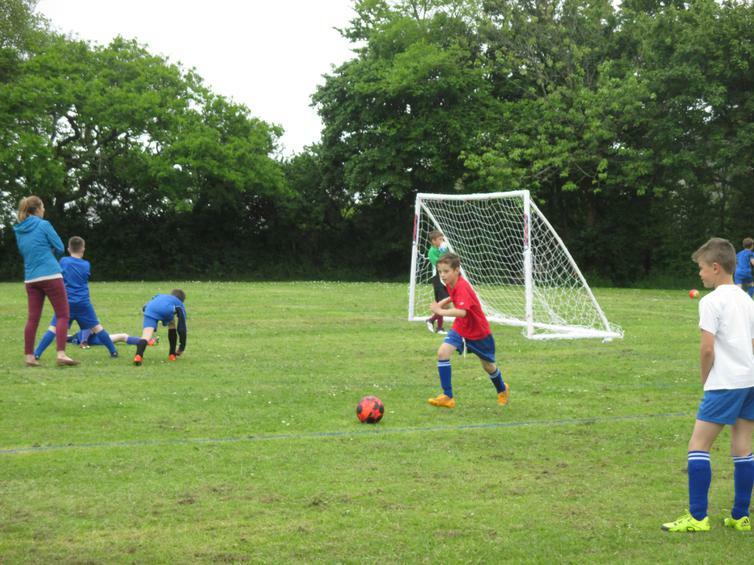 We’ve definitely got some talented footballers at Wembury Primary! 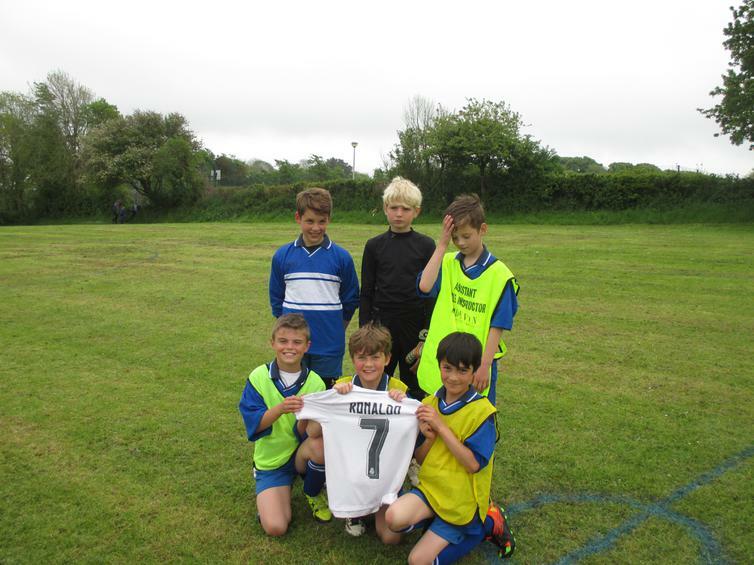 Thank you to Yealmpstone Farm for coming over to play us in our first match. 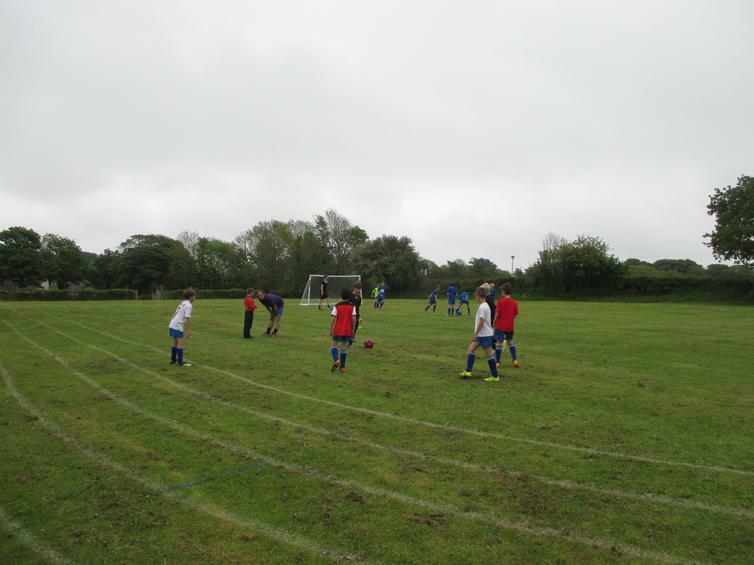 We will hopefully arrange a return fixture for after half term. 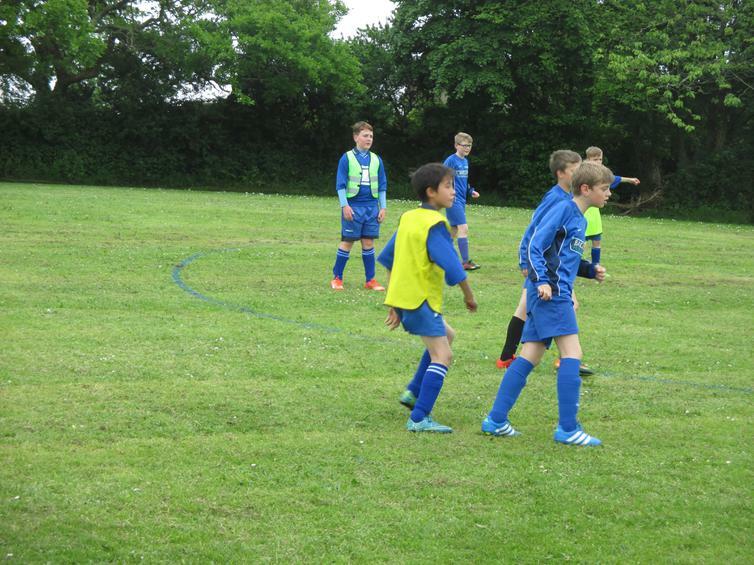 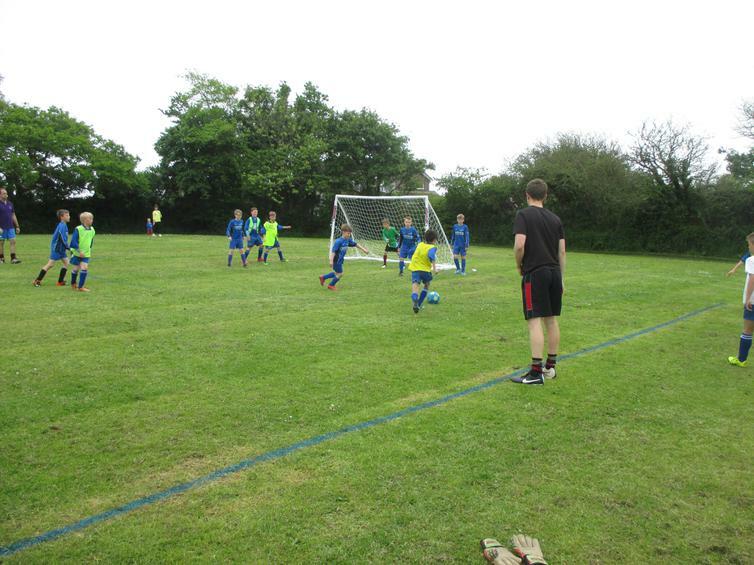 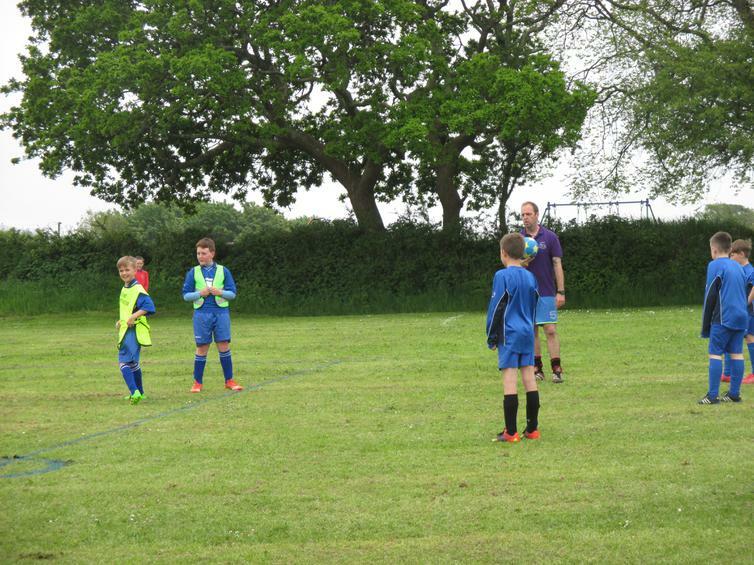 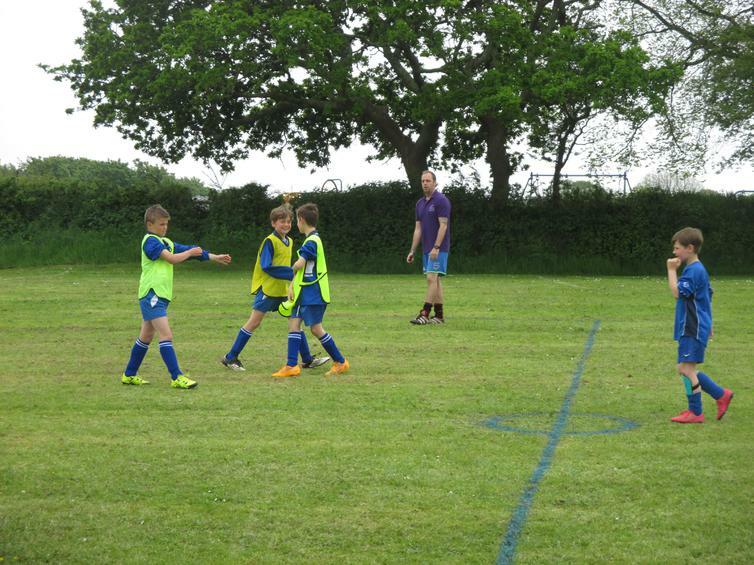 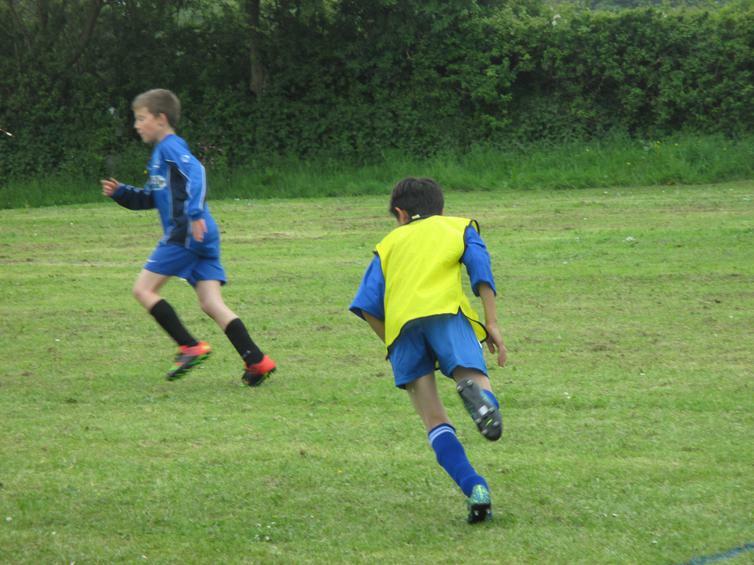 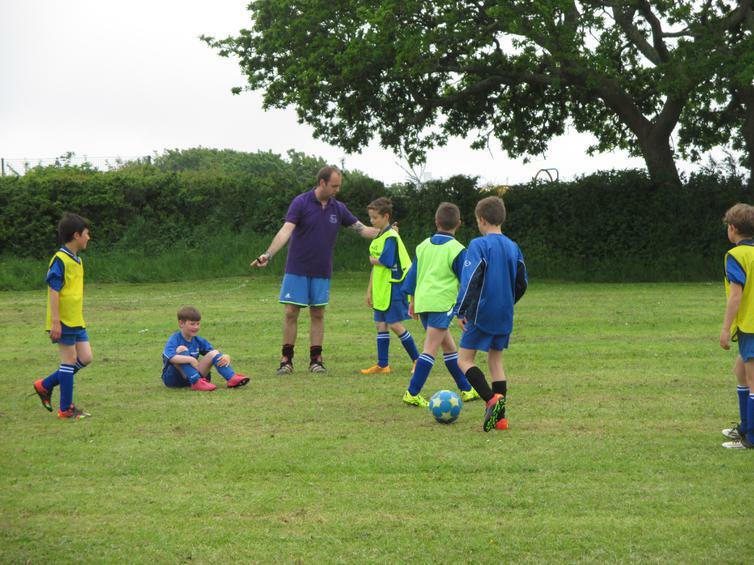 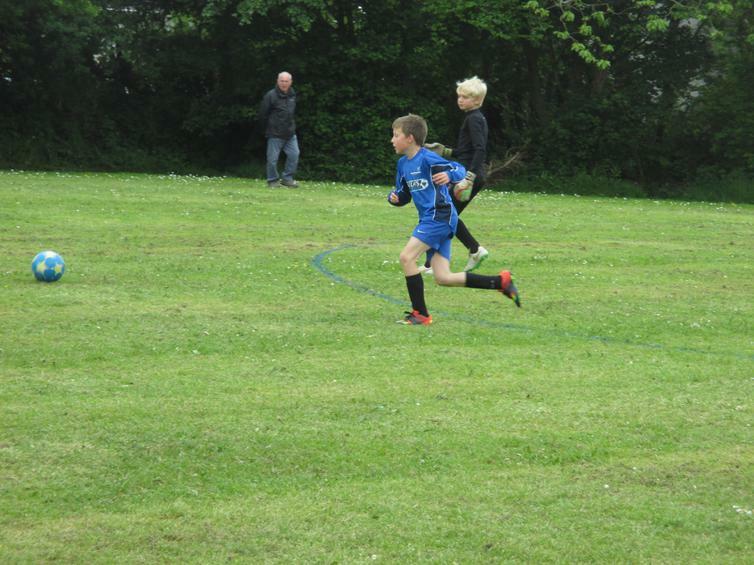 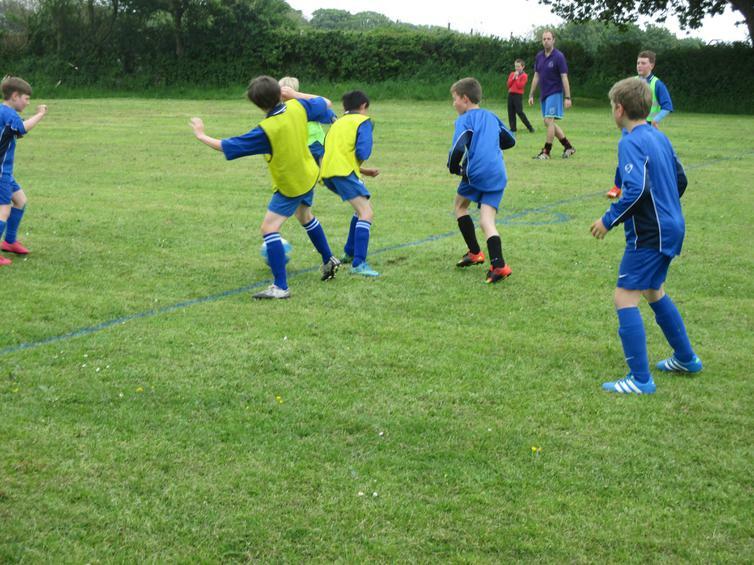 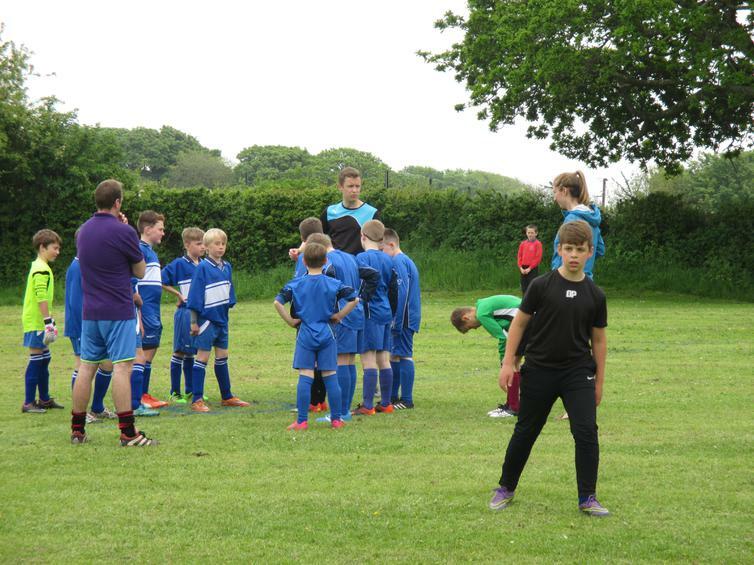 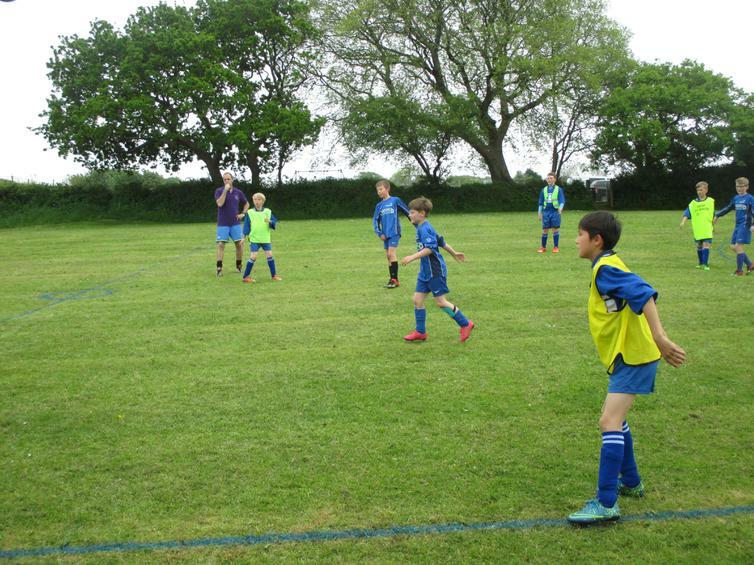 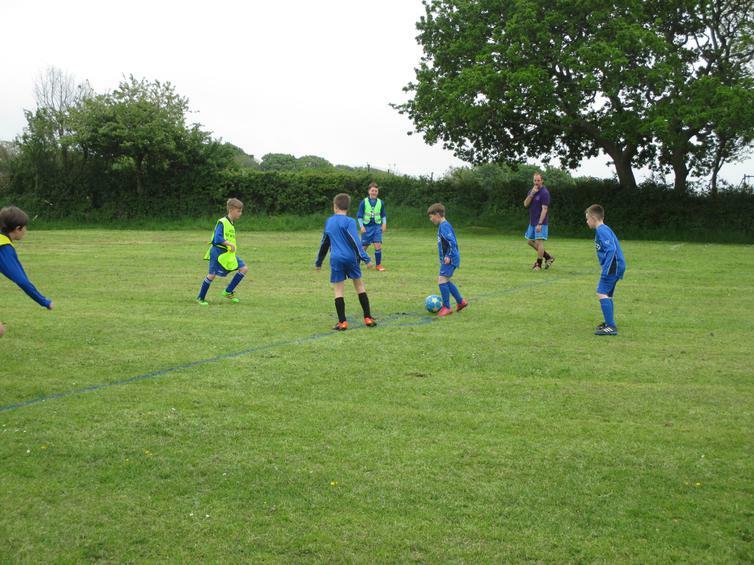 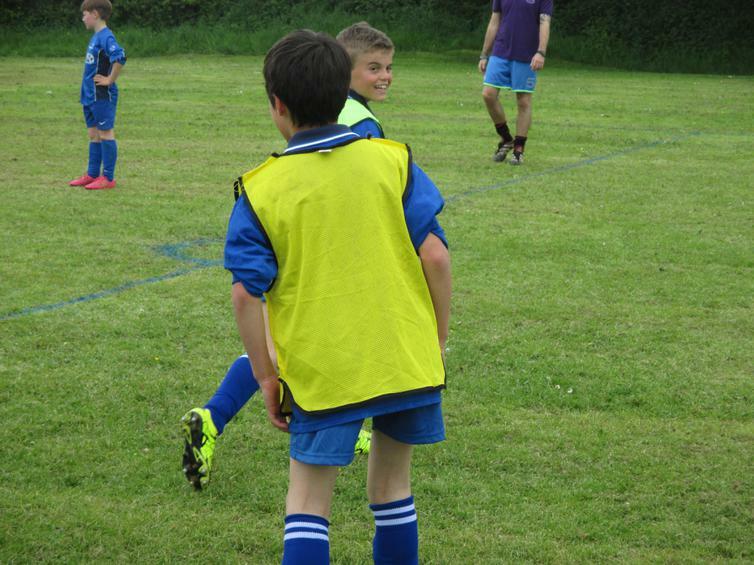 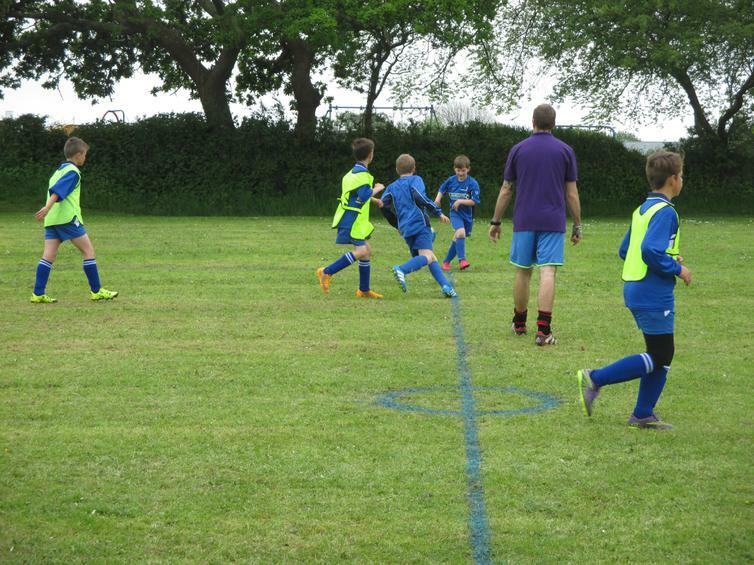 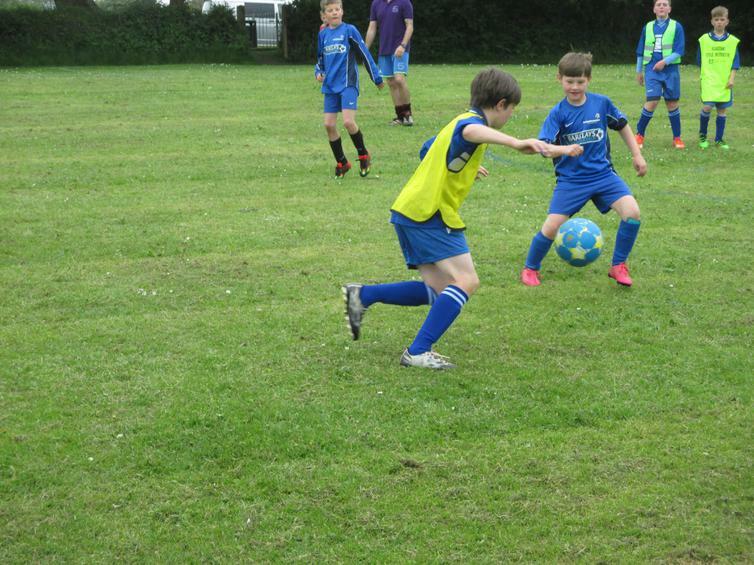 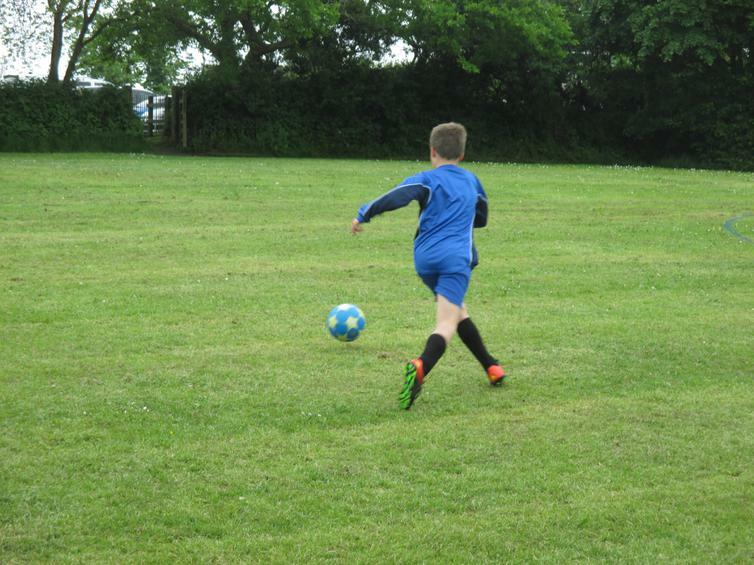 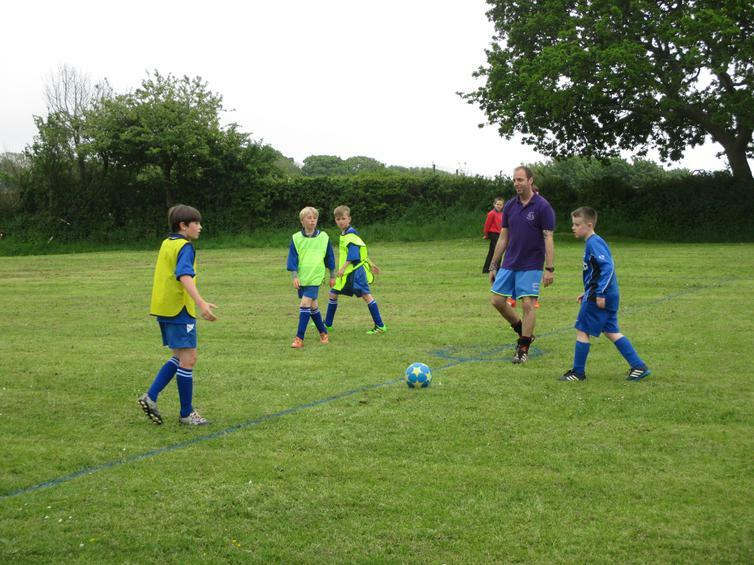 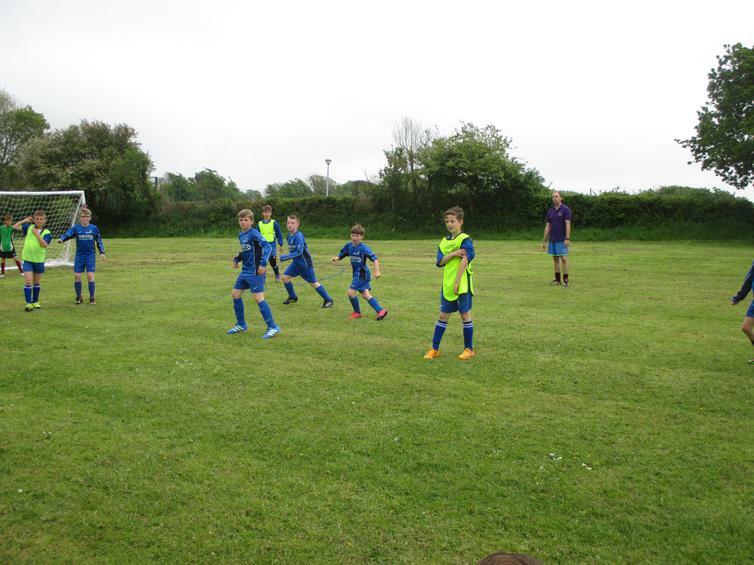 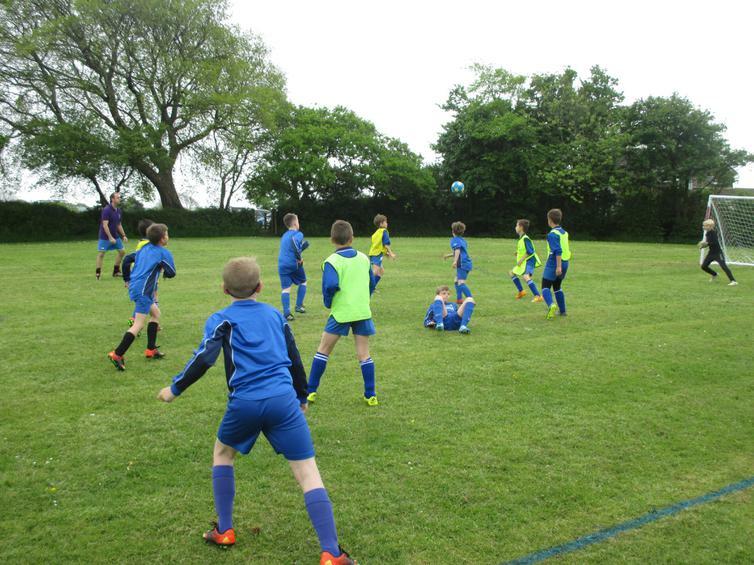 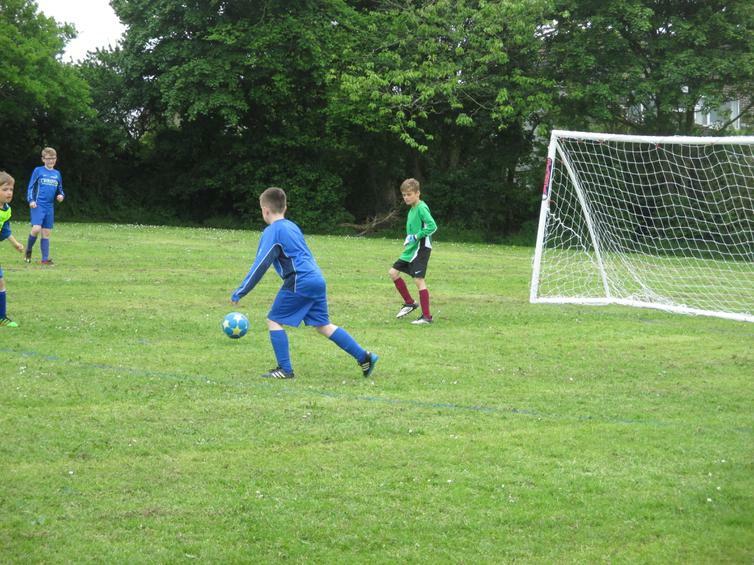 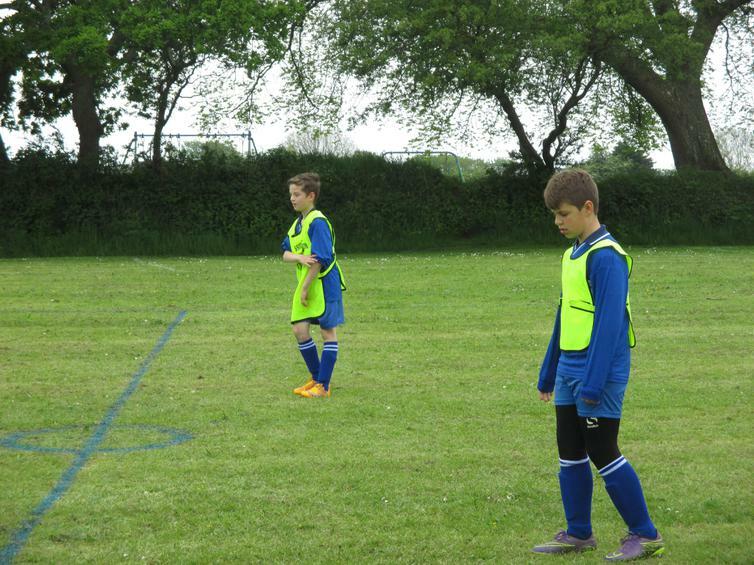 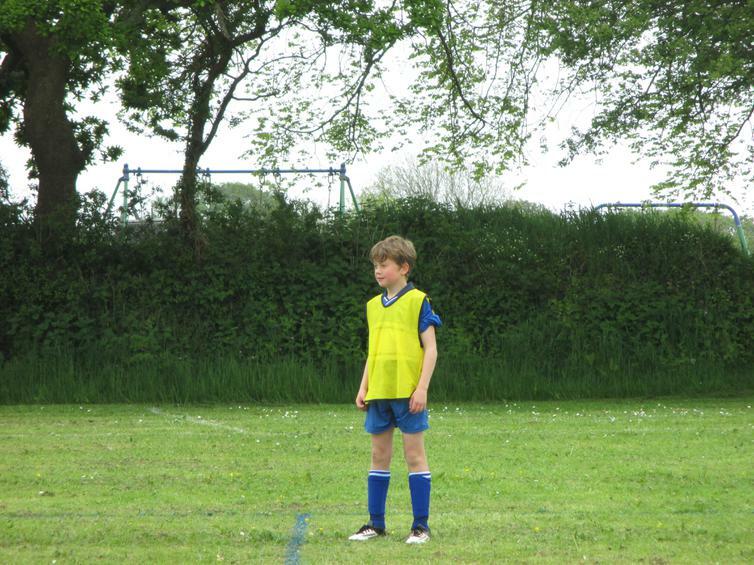 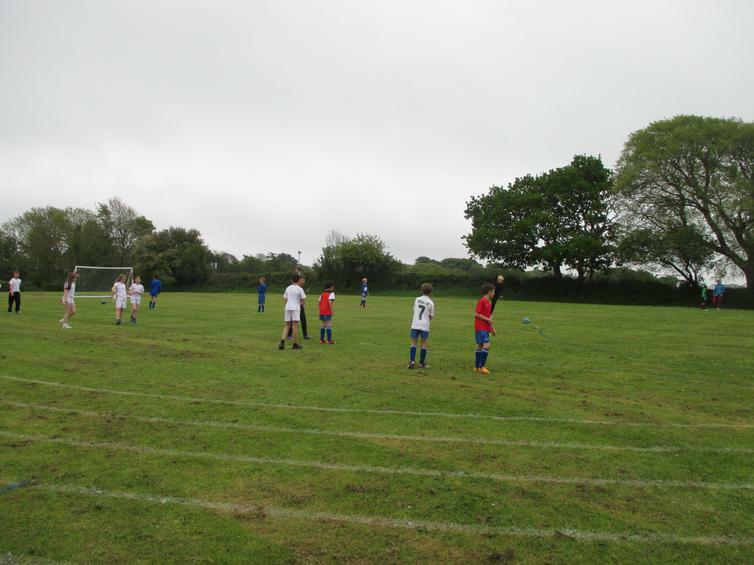 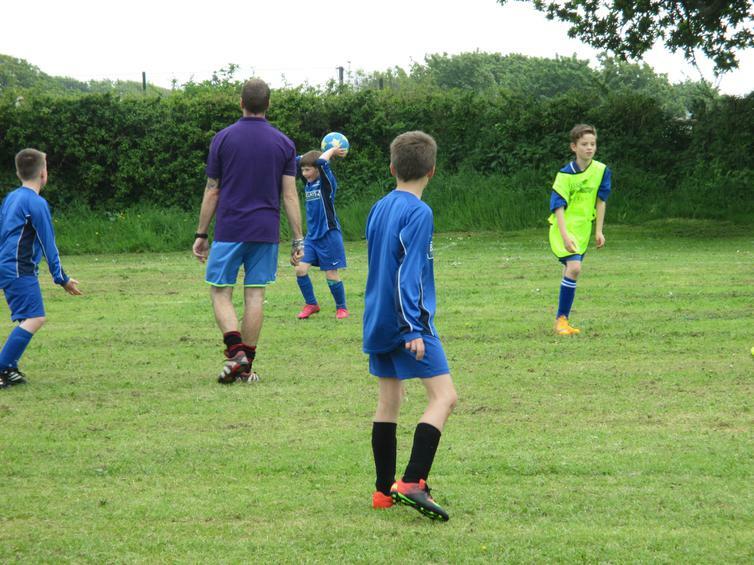 Thank you to our referee – Mr Cocking, the year 5 boys that helped Mrs Shepherd set up the goals and Mrs Shepherd for taking pictures and washing the smelly kits! 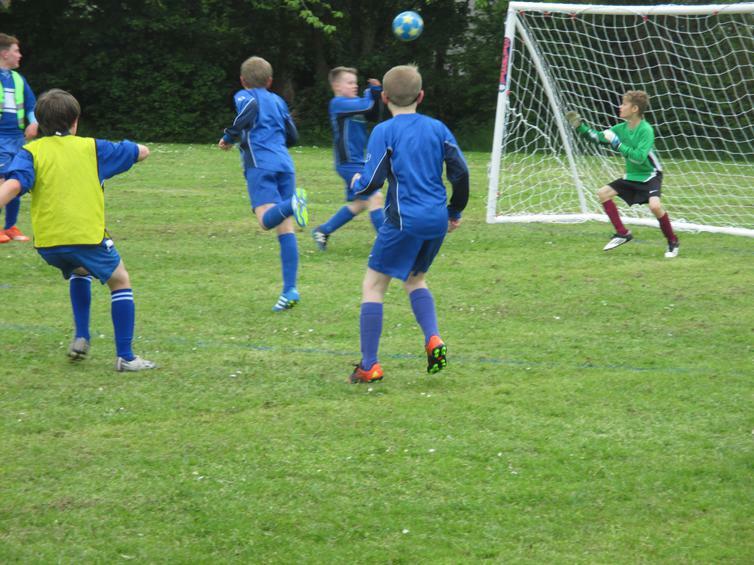 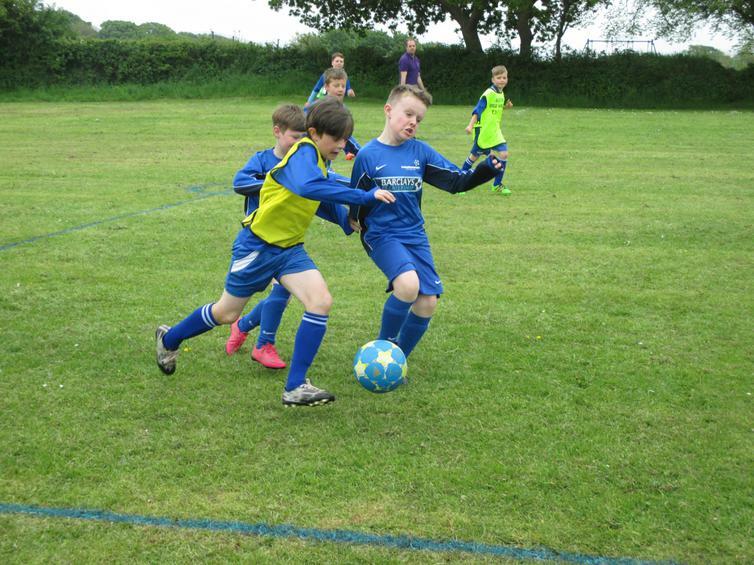 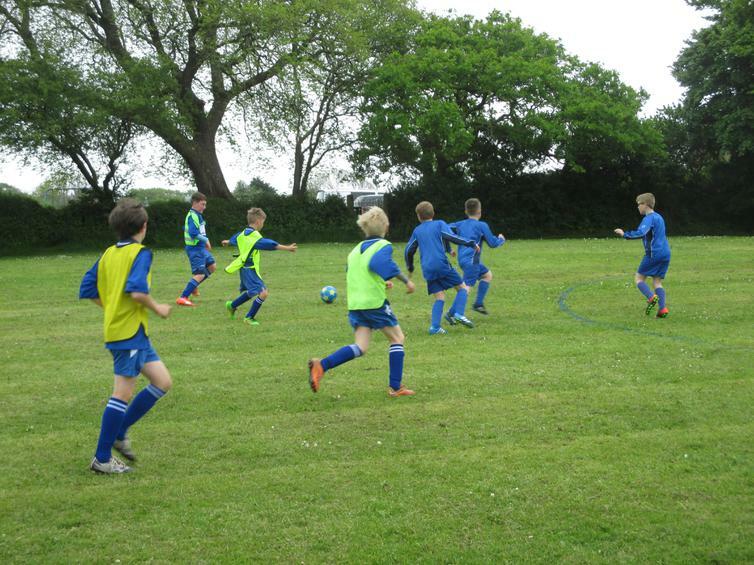 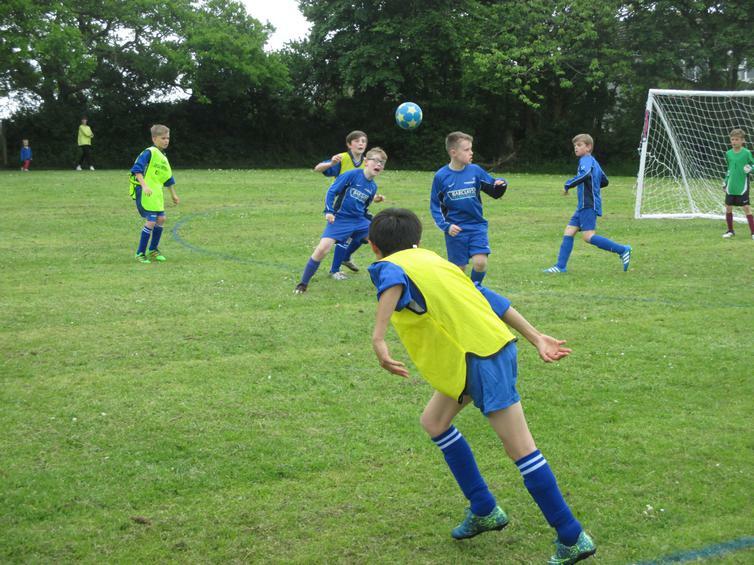 We are hoping this will be the first of many matches – we’re trying to arrange more fixtures for KS2, as well as a tournament, but we have only had a few responses from other schools so far.